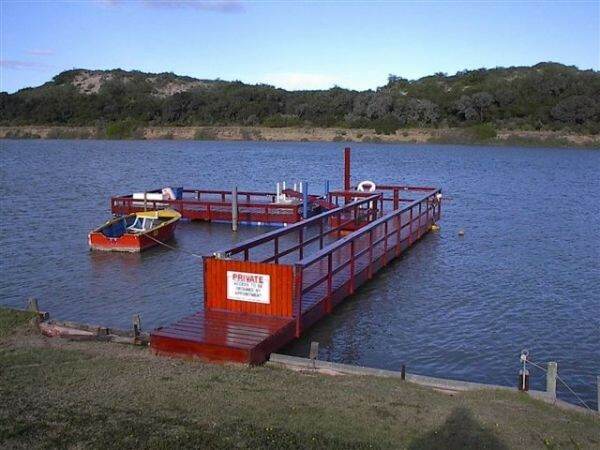 Sundays River Mouth Guesthouse is a luxury Self Catering or B&B Guesthouse 38km from Port Elizabeth and only 2 minutes off the N2 Highway situated in the sleepy holiday village of "Colchester" on the banks of the Sundays River Mouth. Luxury at an affordable price. Sundays River Mouth Guesthouse consists of a two bedroom upper-deck structure with a large wooden deck that has a view of the Sundays River. 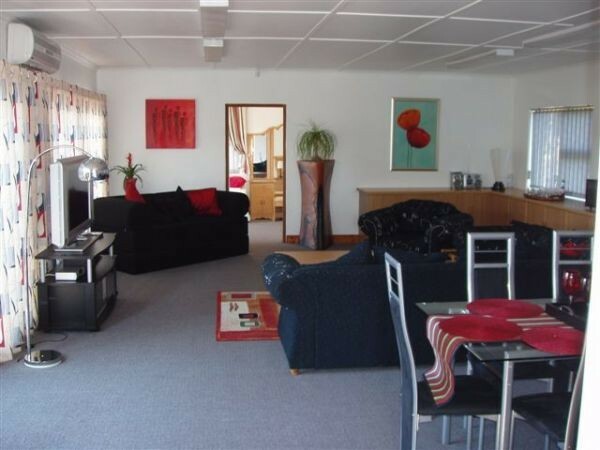 A single night sleepover for the weary guest wanting to break their journey or a guest wanting to spend some extra time to enjoy what the beautiful Sundays River Mouth and surrounding area has to offer. 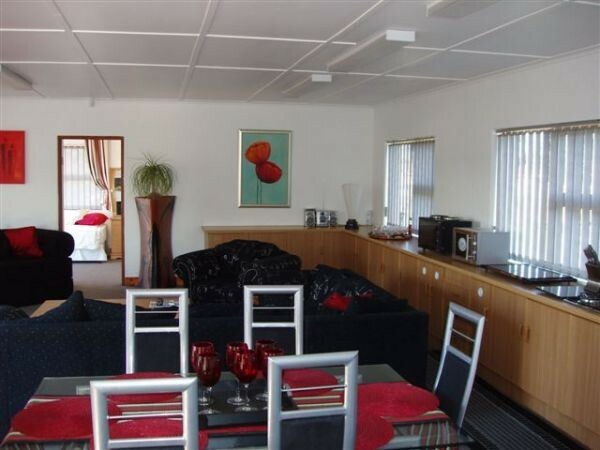 It is also ideally suited for the guest wanting to visit the "Addo Elephant Park" as the Southern Entrance of the park is only 4 km's from the guesthouse. 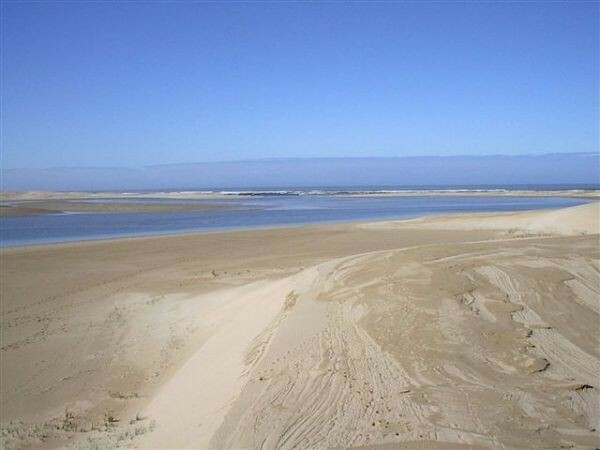 Enjoy superb water sports, fishing, swimming at one of South Africa's largest tidal River. Has 3 beds and is slightly larger than the second bedroom. Two beds are together and a single bed is provided for an extra guest. The bedroom has a large sliding door opening onto a large wooden deck that has a direct view of the Sundays River. High quality new Simonz beds with "Ice White" linen, all furniture is of high quality with a "honey oak" theme and is brand new. Two high quality new Simonz beds with "Ice White" linen, all furniture is of high quality with a "honey oak" theme and is brand new. Very large open plan air-conditioned lounge and dining room consisting of a six seater high quality 'Lounge Suite" and 6 seater high-back glass and stainless steel "Dining Room Suite". Huge new HD - LCD 40" (inch) "Flat Screen TV" with HD - VCR payer. The theme of the lounge area is Charcoal/Red with all stainless steel equipment. 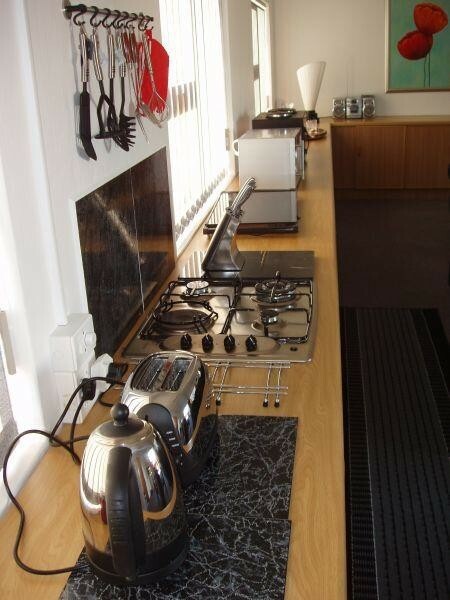 Fully equipped "Open Plan Kitchen"
With combination gas and electric equipment all in high quality stainless steel. Whisky displayed in a "cut glass" canister with Polish made glasses is there for the tasting with compliments of the house. 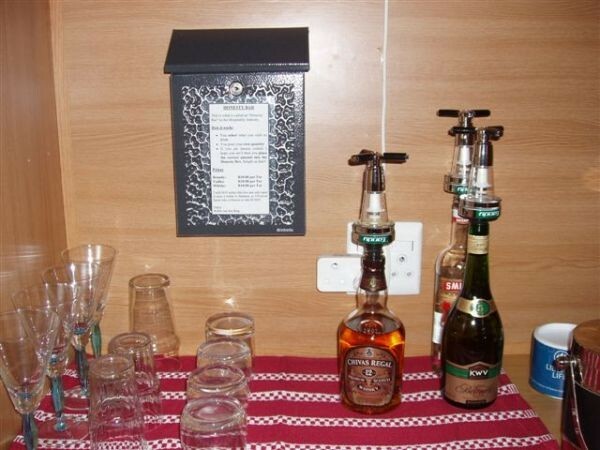 There is also an in-house "Honesty Bar" that stocks good quality Whisky, Brandy and Vodka available to the guest who requires this facility and is prepared to use the "Honesty Box". 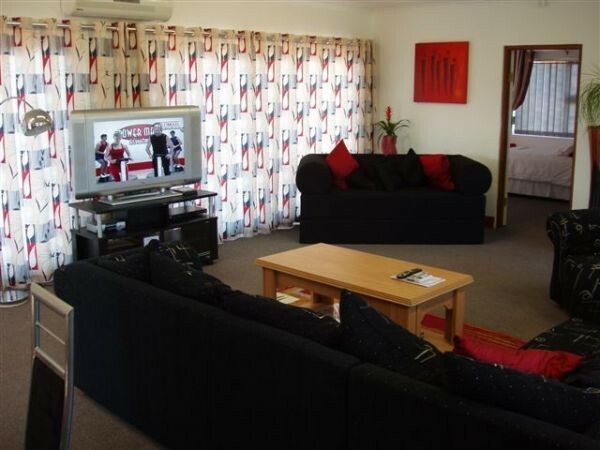 Lounge has two large sliding doors leading out to the entertainment deck. 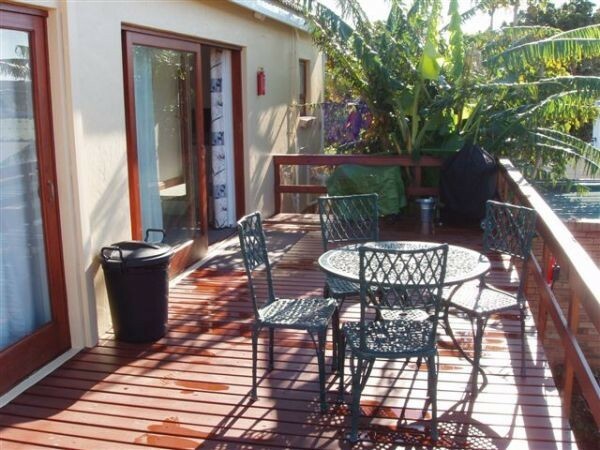 Facilities on the deck include a "Cadac Kettle Braai" and a small stainless steel "Braai" as well as two tables and 8 chairs. Braai wood and charcoal not included. Small separate toilet and shower servicing the establishment. Safe undercover parking for vehicle.